Check out Tobi's Shallow Waters Lace Up Sweater Ditch those boring pullovers and get the sexiest sweater of the season, the Shallow Waters Black Lace Up Sweater. This oversized sweater features a boat neck with a beautiful lace up detail on the back on a soft acrylic knit. Wear this slouchy sweater with moto leggings and booties for the freshest winter look! Ditch those boring pullovers and get the sexiest sweater of the season, the Shallow Waters Cream Lace Up Sweater. 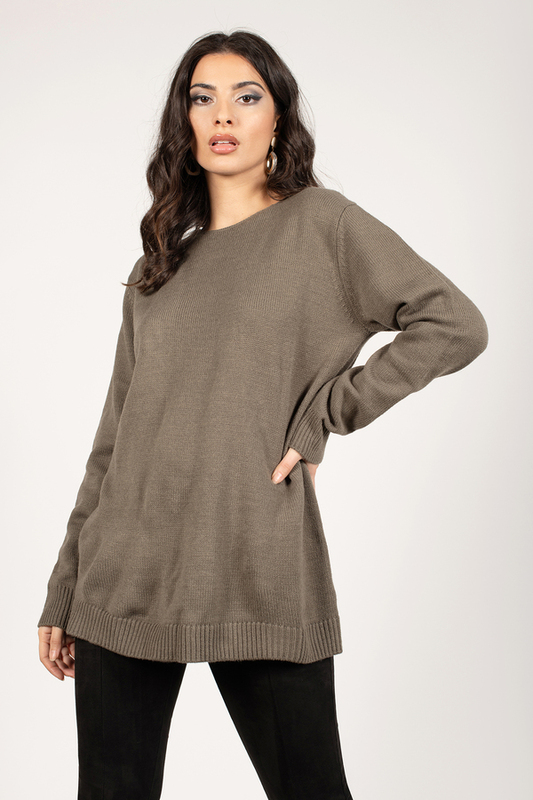 This oversized sweater features a boat neck with a beautiful lace up detail on the back on a soft acrylic knit. Wear this slouchy sweater with moto leggings and booties for the freshest winter look! Ditch those boring pullovers and get the sexiest sweater of the season, the Shallow Waters Black Lace Up Sweater. This oversized sweater features a boat neck with a beautiful lace up detail on the back on a soft acrylic knit. Wear this slouchy sweater with moto leggings and booties for the freshest winter look! Ditch those boring pullovers and get the sexiest sweater of the season, the Shallow Waters Olive Lace Up Sweater. 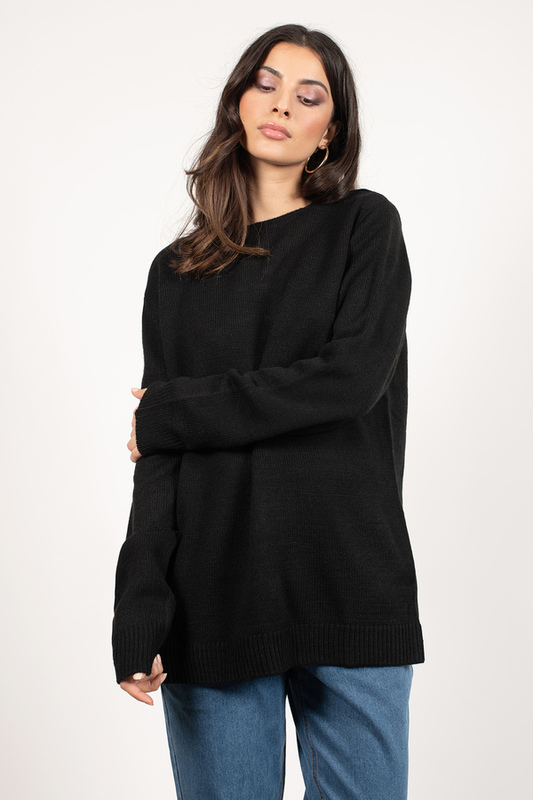 This oversized sweater features a boat neck with a beautiful lace up detail on the back on a soft acrylic knit. Wear this slouchy sweater with moto leggings and booties for the freshest winter look! Cream, Black modeled on a size Small.